I have no idea why I like these, but I do. 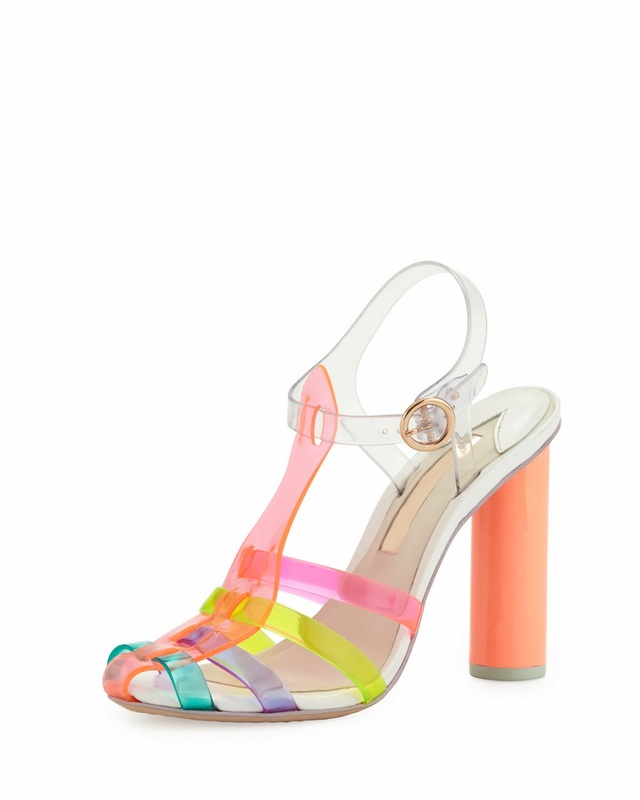 Maybe it's the colors or because of Sophia Webster's whimsical design but I just think they are so cute for Summer. I probably won't get them but I sweetness is so appealing. 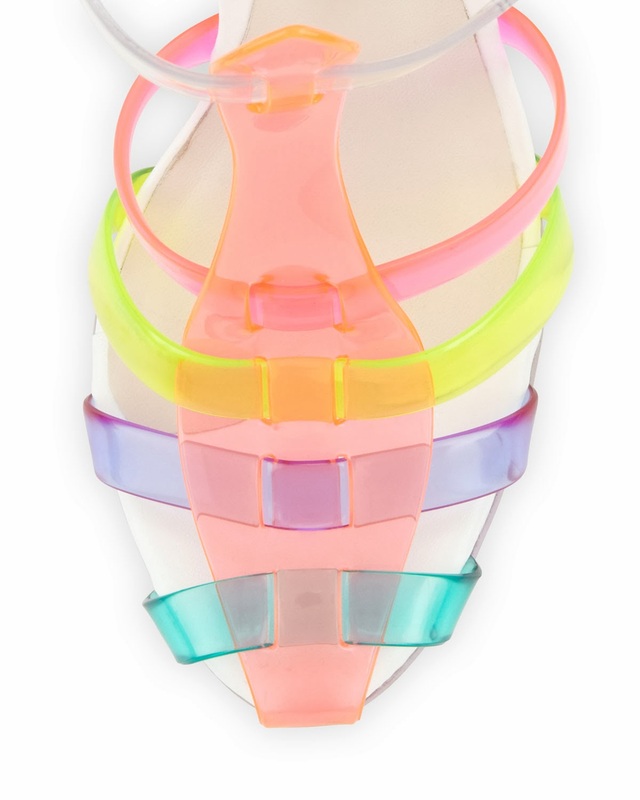 I didn't really wear jelly sandals in the 80s, not sure if I will now, but how cute are they??? So I'm going to do the potentially unthinkable for a shoe blogger... 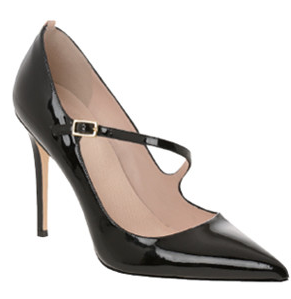 I'm going to diss on the upcoming SJP shoe collection from Sarah Jessica Parker and Nordstrom. After seeing the recently released shots from Glamour, I have to admit I'm not impressed. From what I've seen the designs aren't that spectacular and the quality and workmanship does not seem to justify an average $350 (and up!) price point. Let's start with the Diana. Interesting strap placement. Very Maison Martin Margiela and Prada Fall 2012... mixed with the iconic Manolo Blahnik Campari (you know, the "urban shoe myth" although no longer), don't you think? But that's to be expected when your partner is the president of Manolo Blahnik. I'll be eager to see the shoes in person to see how the quality nets out but the pictures don't wow me. 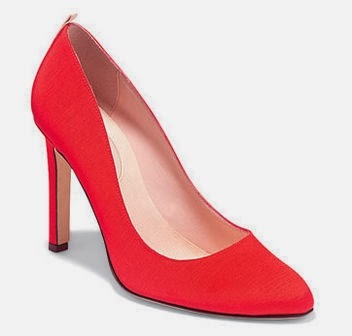 The red Lady pump is b-o-r-i-n-g. Even with the ribbon accent. That lackluster heel just makes me yawn. Who plopped that polyester (maybe it's silk, who's to know yet) on that boring bridesmaid heel? If the flower was in a shocking bright color and had a thinner heel, I'd be more interested in the Etta but not for $425 to be sure. $200 for plain canvas espadrilles? No. This is the one that actually pisses me off though. 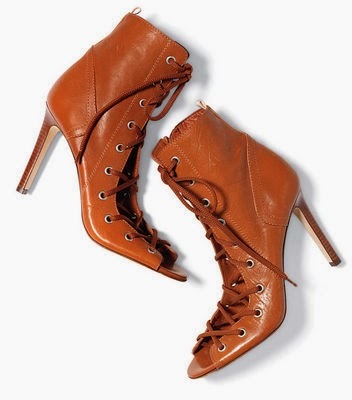 The top image is the SJP Alison bootie. 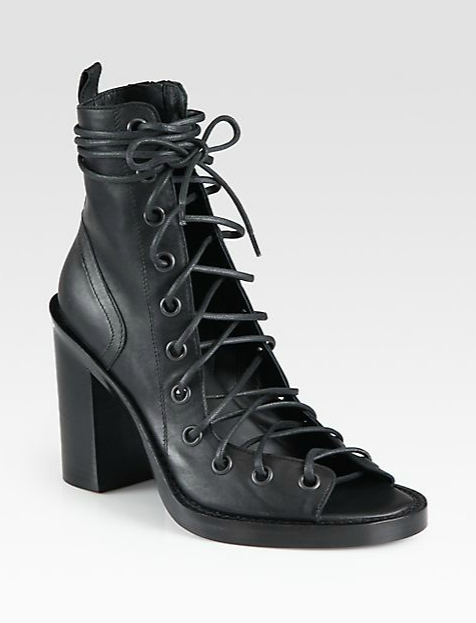 How much has it ripped off the Ann Demeulesmeester open front ankle strap bootie? Um yeah... a lot. That's pretty horrible, if you ask me. Maybe I should do a special Imitation = Flattery? post just for that pair. I've seen other sneak peek images online but from what I've seen, I'm not going to be running out to get a pair from the SJP collection. Bummer, too. Sarah Jessica Parker could have brought some of her and the SATC fashion flair to this line. But mostly they look like a boring miss-mash of knock-offs and boring bridal heels. I'm not going to be subtle in the new year if my recent aquisitions are any indication. It's all metallic and shiny and iridescent and FUN! 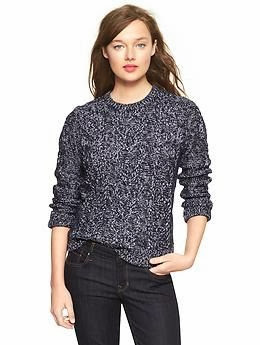 I saw this metallic cable knit sweater at Gap when walking in downtown Chicago and promptly ordered it and the stripe-y skirt it was paired with. I was also smitten with over-the-top gold sweaters and this cable-knit version from Michael Kors is perfectly excessive. I've been eyeing up this faux leather cutout dress from Betsey Johnson and when prices dropped, I nabbed it! 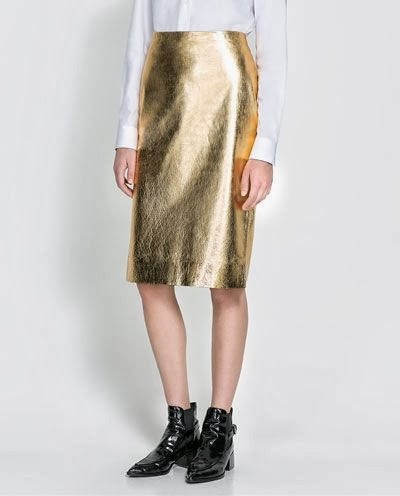 A while ago I saw a gorgeous shot on Pinterest of a woman wearing a gold foil skirt paired with a white button down shirt. I knew I needed to get one. This one from Zara's is perfect. Plus this dark green coated denim skirt was calling to me too. Also Zara. Spring will be here soon. The Sugarberry dress from Anthropologie is perfect for day or night. I love the unusual color especially since it is covered in pailettes. Plus 50% off and then another 25%, made it actually pretty reasonable for such a fancy dress. But the best are the shoes I've been stalking went on sale! Sophia Webster's iridescent peep-toe crown heels - aka Gigi - are finally mine!!! So yeah. Nothing subtle here!